Argos is a successful, well known household retailer with over 700 stores throughout the UK and Republic of Ireland, where they employ approximately 33,000 people across the business. 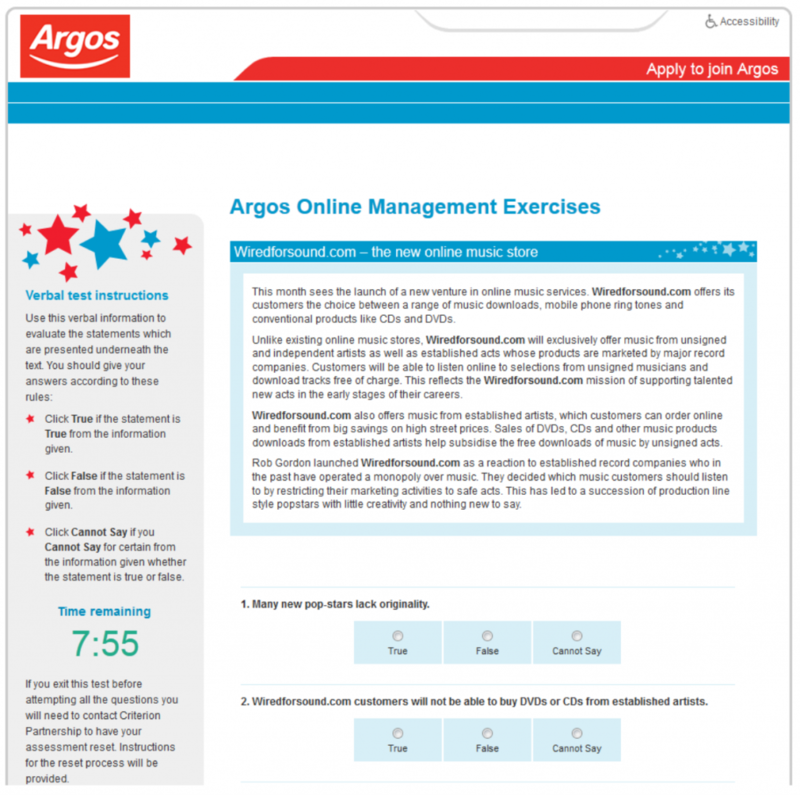 Argos identified the need for a second stage sift for three different Store Manager roles after candidates had met the minimum standards of the roles through application form. The tests were trialled on existing Store Managers to guarantee the tests were statistically robust and to also get feedback from the test takers more generally. The tests received great feedback from the test takers and the regional managers; subsequently this was rolled out to the business in 2010. As a result of the success of the system, parallel versions were created for Sales Consultants and the system is also used for Head Office roles at Home Retail Group.